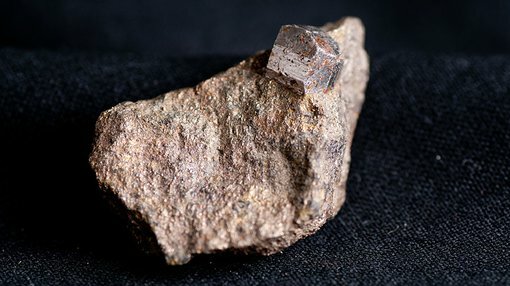 Victory Mines (ASX:VIC) has today informed the market that it will expedite its previously outlined due diligence process for the proposed acquisition of four highly-prospective cobalt and scandium projects in NSW and WA. VIC will move quickly on the NSW assets – Husky and Malamute – with plans already underway to send a geology team to commence a high-level exploration strategy. The team’s focus will be identifying cobalt and scandium mineralisation across the two tenements. The Husky tenement straddles Australian Mines (ASX:AUZ) tenure, and is within 5km of Clean TeQ’s (ASX:CLQ) Sunrise nickel/cobalt/scandium project. The Malamute tenement is of particular interest, with past survey work indicating a substantial area of lateritic mineralisation that may equal or exceed the area of both AUZ and CLQ’s deposits. VIC plans to undertake further desktop and field work to determine the full extent of prospective mineralisation at this location. The company has indicated that once the NSW tenement review is completed, the geology team will then focus on the WA project areas with prospective nickel-copper mineralisation at Galah Well and Peperill Hill. 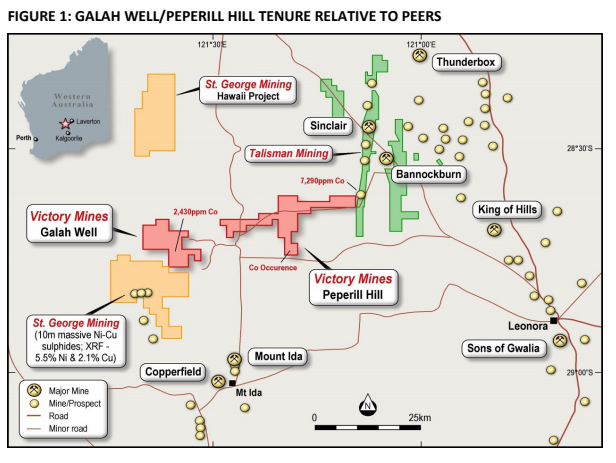 Interest in the WA tenements has increased post-St George Mining (ASX:SGQ) announcing it had found outstanding, shallow depth, nickel-copper mineralisation at Mt Alexander, which is directly south of Galah Well. Historical descriptions of the sparsely drilled nickel-copper sulphide mineralisation and the geophysical aeromagnetic anomalies at Galah Well appear to be similar to the announced SGQ mineralisation, which returned average XRF readings of 5.5% nickel and 2.1% copper. The above mineralisation has been attributed to a SANSOM EM anomaly which is open to the north and west, which may potentially trend into Galah Well’s project area. If feasible, the board will expedite the previous due diligence timeline given on 14 November 2017. Shareholders will be advised of progress appointing the geology team, and any additional changes in due course.